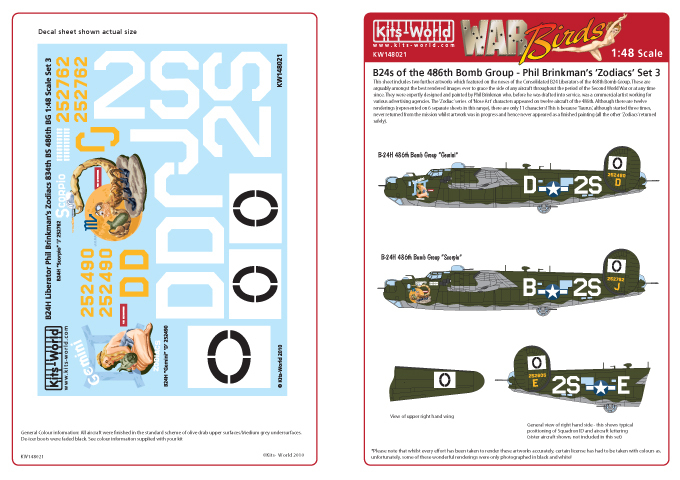 Kits World KW148021: " B-24s of the 486th Bom Group - Phil Brinkman's Zodiacs, set 3. Decal escala 1/48, para 2 versões: Liberator 'Zodiac Squadron' - 'Gemini - 252490' & 'Scorpio - 252762'. 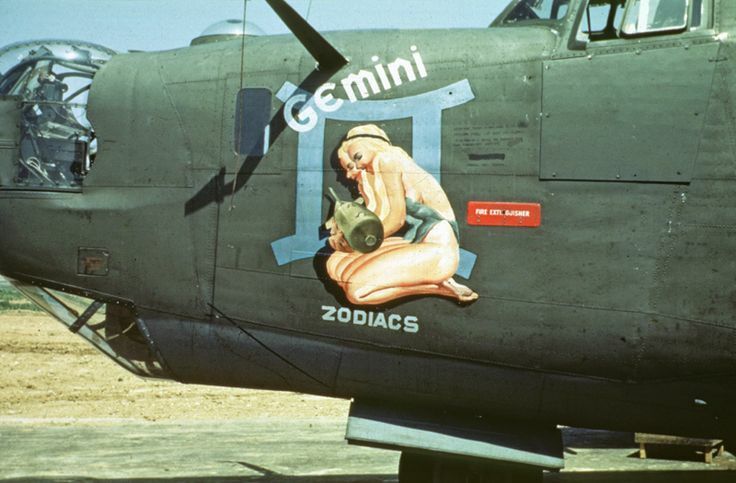 The 834th was known as the Zodiac Squadron for the 12 B-24's which had the signs of the zodiac painted on their noses. The original artwork was done by CPL Phil Brinkman. None of the Zodiacs were lost during the 49 missions the 486th flew before transitioning to the Fortresses. This kitworld decal sheet depicts two B-24 Liberator nose art designs from the B-24 Liberator 'Zodiac Squadron' - 'Gemini - 252490' & 'Scorpio - 252762'.